Esteemed baseball writer Peter Gammons recently penned a piece on the Toronto Blue Jays, “Toronto building a new culture.” Apart from the fact that Gammons believes Michael Saunders (of the Philadelphia Phillies) needs to contribute to the Blue Jays for the Blue Jays to be successful, it’s a fine recap of how GM Ross Atkins and President Mark Shapiro are continuing to impact the organization’s culture. Normally I am loathe to co-opt a writer’s work, spend a few minutes riffing on it, and then call it a blog post. But I’ll make an exception in this case. Gammons makes salient, relevant points on the shift in the Blue Jays’ organizational culture since the arrival of Mark Shapiro and Ross Atkins, but he leaves a gap in regard to the difference in philosophy between the two Cleveland imports and their predecessor, former GM Alex Anthopoulos. When Mark Shapiro came to Toronto to replace Paul Beeston from Cleveland, where the Indians organization was one of the most respected in the sport despite the shrinking rust belt city’s downtown aging, his mission statement was to change the culture. Shapiro brought in his Indians farm director, Ross Atkins, as general manager … Then came an overhaul of the analytics, intern and medical programs. And most of all, the building of a connecting respect between uniformed and non-uniformed personnel. He knew from Atkins’ work as Minor League Director of the Indians he has a remarkable ability to connect and communicate with everyone he touched. The same is true of Cherington. The same is true of holdover Tony LaCava, who worked for Shapiro in Cleveland, and player development director Gil Kim. While I can’t speak to being able to notice a change in the linking of respect between uniformed and non-uniformed personnel, as an observer I can see that there has been a shift in both player acquisition and player development philosophy since Alex Anthopoulos’s departure. The Atkins/Shapiro regime seems to place a greater emphasis on the transition to the culture that the Blue Jays are trying to create and organizational alignment. You may recall in Anthopoulos’s first season as GM of the Blue Jays, he traded for a surly shortstop with a bad reputation named Yunel Escobar. 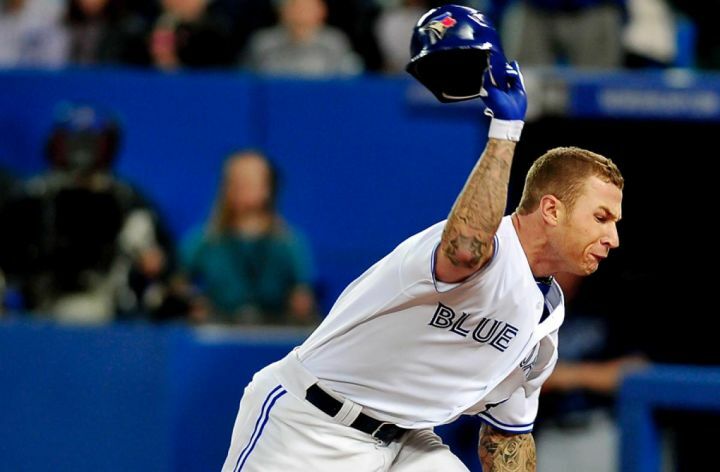 Six months later, Anthopoulos acquired Brett Lawrie, a second-baseman with a checkered past. The next season brought Colby Rasmus, a player considered by then-St. Louis Cardinals manager Tony LaRussa as un-coachable due to Colby’s meddling father. Jeremy Jeffress soon followed. Jeffress, a reliever with electric ‘stuff,’ was never able to realize his potential because of his marijuana use – or so the story went. Then there’s Danny Valencia, a relatively productive infielder who was acquired by the Blue Jays for popular reliever Liam Hendriks and backup catcher Eric Kraatz. A year later, Valencia was unceremoniously designated for assignment. In other words, he was released outright by the Blue Jays. It was later revealed that Valencia was a clubhouse cancer in Oakland, the team that claimed him. And so was Brett Lawrie. Based on the trades mentioned above, it would seem that Anthopoulos was attempting to exploit a market inefficiency – that of the high-potential player with reputational damage. 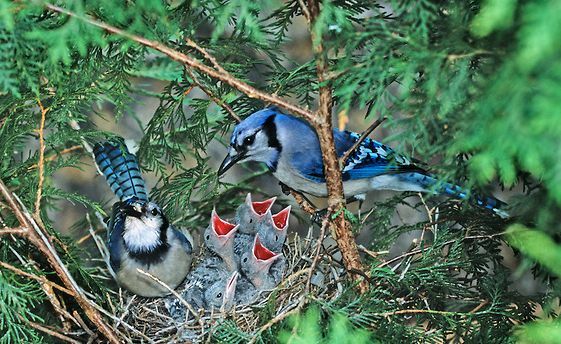 The hope would be that these players could be acquired for pennies on the dollar and then rehabilitated once in the warm embrace of the Blue Jays fold. And it wasn’t just in the trade market that Anthopoulos tried to find the diamonds-in-the-rough, so to speak. In the 2013 draft, the Blue Jays selected right-handed pitcher Clinton Hollon in the second round. Hollon’s draft slot bonus was projected to be north of $1.1 million, but due to make-up (read: poor character) and medical concerns, the Blue Jays were able to get him to sign for $467,280. Hollon has since been suspended twice for violating MiLB’s drug policy and has been released by the Blue Jays. Speaking of drug policy violations, waiver-wire pickup Chris Colabello was suspended for testing positive for performance enhancing drugs. He was removed from the team’s 40-man roster. Was Anthopoulos’s strategy to acquire discounted, damaged goods a sound one? Mostly no. As the Blue Jays began to gain momentum in 2014, the aforementioned reputationally-challenged players flew the Blue Jays’ coop for little-to-no return, with the exception of Brett Lawrie. In a deft sleight-of-hand trick, Alex Anthopoulos packaged bad-seed Brett Lawrie with middling prospects and sent him to Oakland for Josh Donaldson. The Bringer of Rain as he is known, won the MVP award as the Blue Jays made their first playoff appearance in 22 years. It is no accident that the Blue Jays’ success in 2015 and 2016 coincided with the absence of players who were not able to transition effectively into the organization. In my “real life” job, I work with experts in the Organizational Behaviour field on a daily basis. I have managed to learn a little from them, but strictly through osmosis. What I’ve learned is that individual actions and choices add up over time and either support or undermine an organization’s strategy. A winning strategy will never be realized without the understanding, commitment, and support of all uniformed and non-uniformed personnel. Commitment depends on people believing that (a) it’s the right thing for the organization to be doing; and (b) it’s the right thing for them to be doing personally. The best analogy I’ve heard in this regard is that of the 18-wheel transport truck. As a truck driver, you may have the best, most expensive tires on your truck. If one or two of them are out of alignment, you probably won’t even notice it. On a motorcycle with two wheels, sure, you may not even be able to drive. Yet on an 18-wheel truck… or, in this case, a 25-wheel truck where every wheel represents a player on a team’s roster, the effect is negligible for a short trip. But over a long journey, the driver will be forced to make multiple course-corrections, some of the tires will become prematurely worn out, and more money will be spent on gas to get to the destination. These outcomes are especially pertinent when your truck is racing against 29 other trucks and the World Series is the destination. The trucks whose wheels are in alignment are going to get to the destination quicker. Often sportswriters decry that clubhouse chemistry doesn’t matter, that incidents like these have no effect on a team’s performance. Yet over the course of the season, disengaged and mis-aligned employees put an organization at a competitive disadvantage. An organization that employs players like Brett Lawrie will never be greater than the sum of its parts. It’s clear that Ross Atkins and Mark Shapiro understand the importance of alignment between an employee and his/her organization. At the outset of last season, under the direction of Mark Shapiro, the Blue Jays created a department that centralizes all aspects of player performance – strength and conditioning, mental health, nutrition – and tailors specific plans for each player to reach personal goals. The high performance department makes an abundance of resources available to each player to ensure that he has the tools needed to be successful in his job. This holistic approach in player development produces an engaged, aligned member of the organization. It’s up to the culture you have and the on-field leaders you have to ensure that a player, when he transitions, has the support necessary to compete and feel as comfortable as he can possibly feel. (When we create) a player development system that’s focused on developing the players mentally, physically and fundamentally to be the best to their potential, and we ultimately build a major-league team and transition those guys into a big-league culture that is aligned with how we identify and develop and is committed to those players to maximize their potential, then we’re going to be in a good spot. High performance, the mental side, strength and conditioning, sports science, what can we learn about these players that we feel will not only be indicative of future success, but help them transition into our organization better should we take them. “Chemistry is a hard thing to bring together. But they do a great job here,” he continued. In fairness, the shift started under AA. He was the one who shipped out/let go of lind, lawrie, gose, valencia and rasmus. He also prioritized bringing in guys like vizquel and derosa as veteran presences. it certainly seemed like the escobar and rasmus experience had an affect on his willingness to go after “bad make up” guys. Clubhouse culture seemed like it factored in when it comes to signing martin. You’re absolutely correct, AA did ship out all of the ‘bad apples.’ But I’m not sure that I would call it a cultural shift as much as it was a realization on AA’s part that the team couldn’t be successful with those players on the roster. In Gammons’s article, he states that Shapiro’s “mission statement was to change the culture.” If AA had shifted the culture, I don’t believe that a culture change would be part of Shapiro’s mandate. Melky Cabrera is another that AA bought low on because of “makeup issues” (ie. PEDs). Even Dosh had some red flags during his last few months in Oakland, supposedly. But yeah, as Jerkstore said above, AA realized his mistake a few years into his tenure and started to jettison these guys. It’s a good reminder that makeup and personality do matter in team sports, even though we can’t quantify it yet. So I’m wondering why Mat Latos is in camp considering his checkered past.